Joins Dan Aykroyd, Ivan Reitman, Plus Stars of the 1984 Original Film and “The Real Ghostbusters” Series for Live Event on the Sony Pictures Studio Lot Celebrating Ghostbusters’ 35th Anniversary. 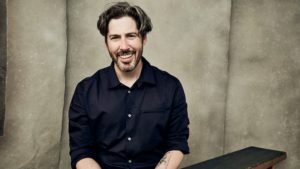 (PR.com) As fans get ready for a new chapter of the Ghostbusters universe, attendees of the first-ever Ghostbusters Fan Fest, presented by Wizard World, will hear from Jason Reitman, the director and co-writer (with Gil Kenan) of Sony Pictures’ upcoming 2020 Ghostbusters film, on the famed Sony Pictures Studio Lot this June 7th and 8th in Culver City, California. With Ghostbusters (1984) stars, Dan Aykroyd (Dr. Raymond Stantz), Ernie Hudson (Winston Zeddemore) and director and producer Ivan Reitman already slated to attend the event with several other stars from across the franchise and a bevy of themed activities, it’s the ultimate, once-in-a-lifetime celebration of everything Ghostbusters. In addition to the Reitman’s, Aykroyd and Hudson, Ghostbusters Fan Fest standout guests include Ghostbusters theme song singer-songwriter Ray Parker Jr., The Real Ghostbusters animated series (1986-91) headliners, Maurice LaMarche (Dr. Egon Spengler), Frank Welker (Dr. Raymond Stantz) and Dave Coulier (Dr. Peter Venkman). Fans will participate in exclusive panels with the stars and original crew members, meet the Ghostbusters creators, talent and crew and experience Ghostbusters augmented reality gaming. Other planned Ghostbusters-themed activities include a screening of the original film, a special musical performance by Parker, costume contests, meet-ups, documentary screenings, laser tag, interactive photo booths, exhibitor booths, and much more.